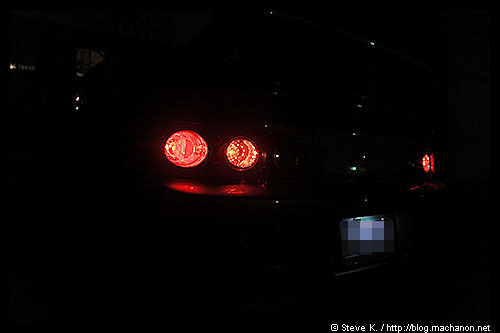 The OEM JDM taillights is a direct swap with the USDM taillights. There are a few minor noticeable difference to be aware of. 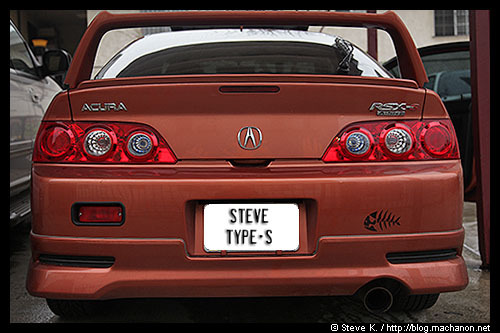 The OEM JDM taillights come with a slightly different taillight gasket. It has an adhesive backing that adheres to the rear firewall. Since the JDM Integra DC5 rear chassis has minor differences, the OEM JDM taillight gasket will not be a 100% direct swap, but very close. 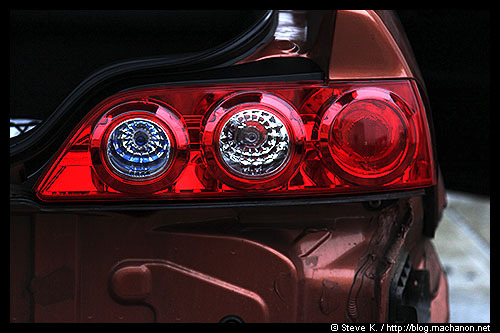 The OEM JDM taillights also lack rear side marker sockets. That is, your 194/168 rear side marker sockets will not be used if you decide to replace your taillights with OEM JDM taillights. 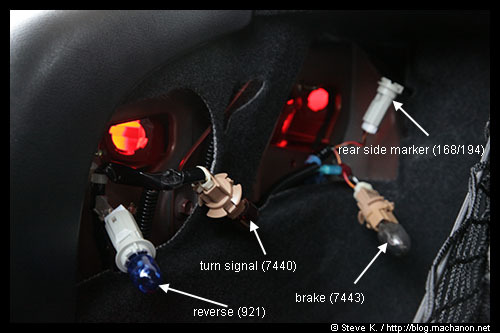 There are indention for the rear side marker sockets, however. 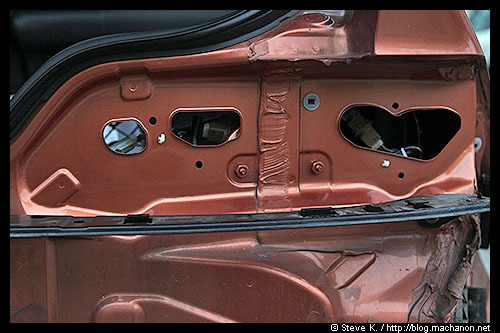 If you want to retain the rear side markers, you will need to drill and/or Dremel the indentation out. If not, then you will only have two circles lit up at night (or 4, if you followed my rewire mod DIY). 1. 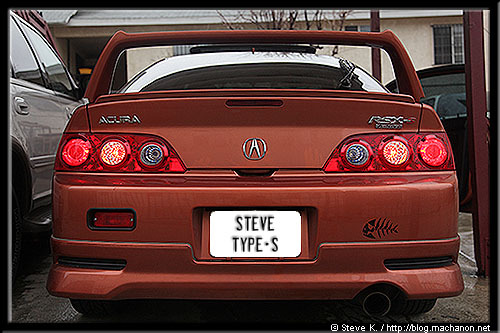 Remove your rear bumper for access to the taillights. 3. Unplug all your bulbs. There should be a total of four. 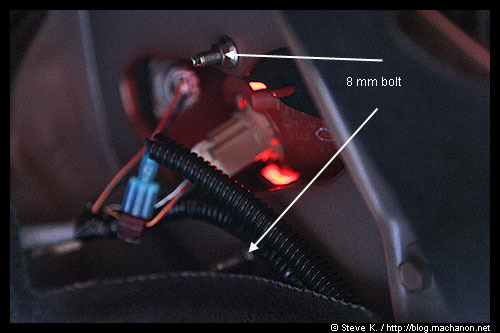 On the driver-side rear taillight, there is a blue cap plug that sits over one of the 8mm bolt. To remove this blue cap plug, simply pull it straight out. Be careful not to break it. You may use a needle nose plier to assist you pull it out. 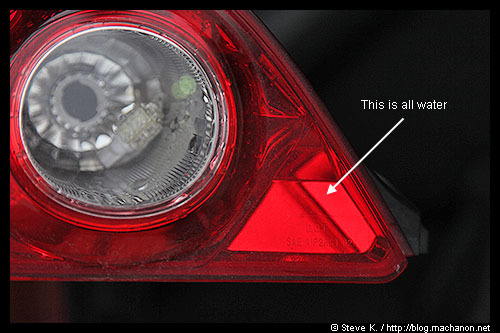 Then place the taillight in a safe place, e.g. your cargo space. 9. 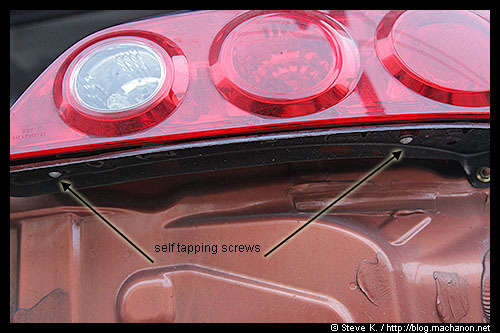 Carefully align the adhesive side of the taillight gasket with the frame. The JDM gasket will not match the USDM rear firewall 100%, so there will be some over lapping. 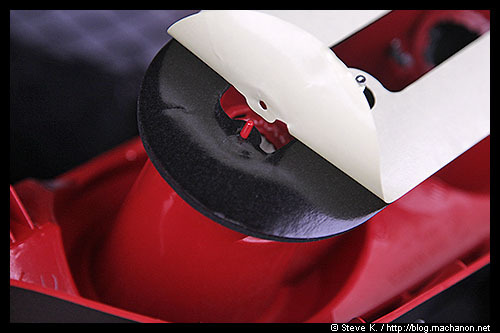 If this bothers you, you can trim the gasket so it is flush with the frame before you peel the adhesive backing off. 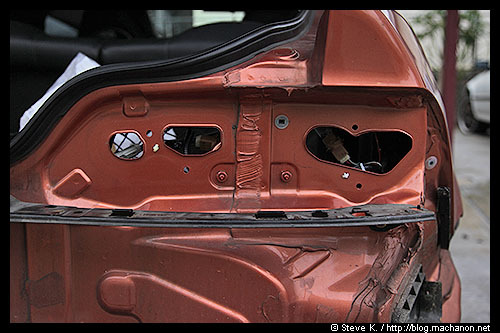 Reconnect the bulbs and reattach the cargo access panel. 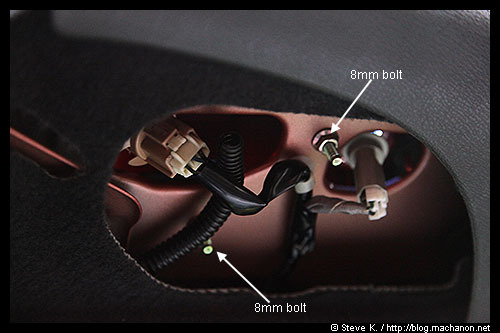 Note that you will not be able to use the rear side marker/corner light (168/194 bulb) unless you drill out the indentation on the OEM JDM taillights to fit the bulb socket. 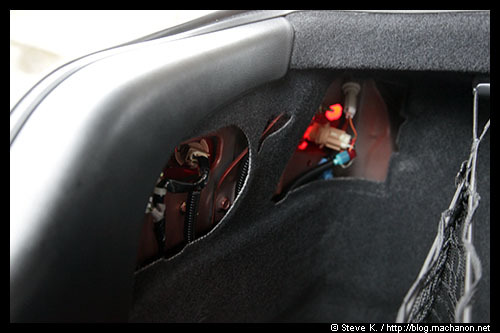 To prevent inadvent shorts and possible fire hazard, remove the bulb and tape off the socket. 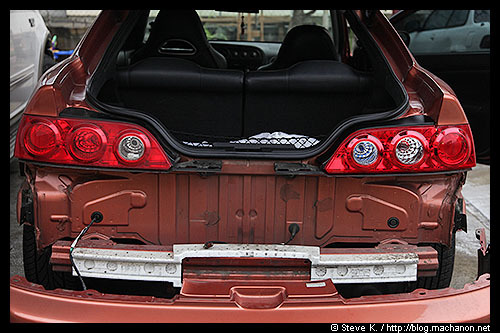 Perform the same removal and installation procedure with the remaining taillight. 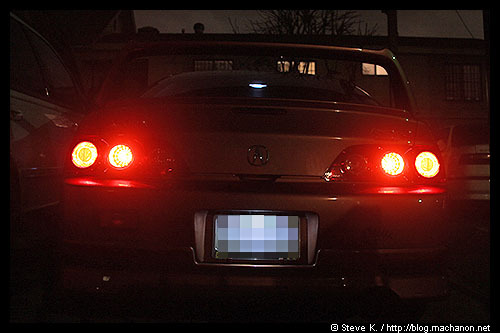 If you rewired your 2005-2006 RSX taillights using my DIY guide, you will need to swap out the bulbs that sits in the clear lens for a set of red 7443 dual filament bulbs. I swapped my with a pair of Polarg M-3 red 7443 bulbs. The following photos were taken in the daytime. 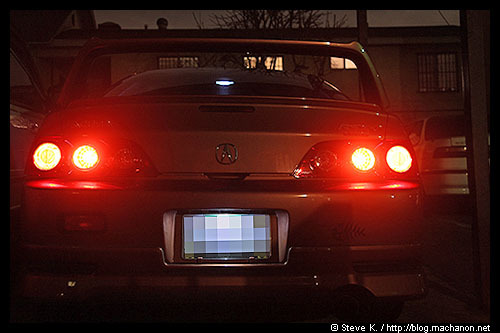 The red bulbs definitely illuminates red at night, when it matters most. The second reason is the passenger-side taillight was cracked. Not sure how it happened. 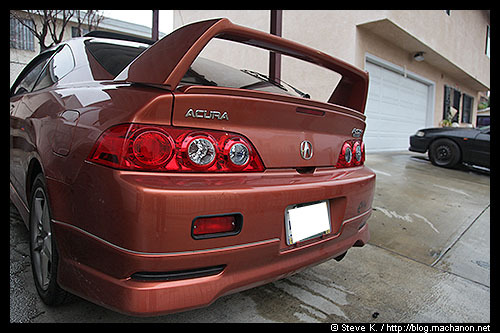 Finally (and most importantly to me), the cost to replace both taillights with OEM JDM equivalents were significantly more cost effective than going to Acura and ordering a set of USDM replacement taillights. Why not? 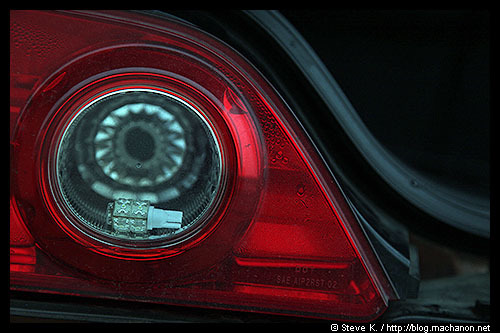 If I get bored of the extra set of clear lens, I’ll just apply some circular red-outs. 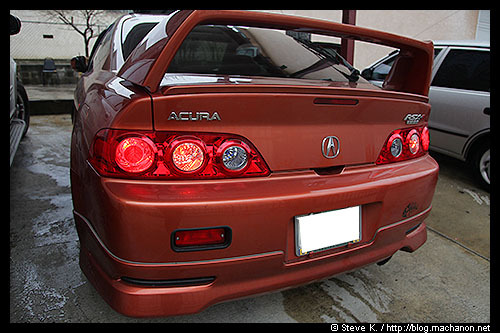 where can i buy a set of oem jdm tail lights?